One of my favorite things about the holiday is having people over. It doesn’t matter if it’s family visiting or hosting a few of the kids friends for a fun play date. 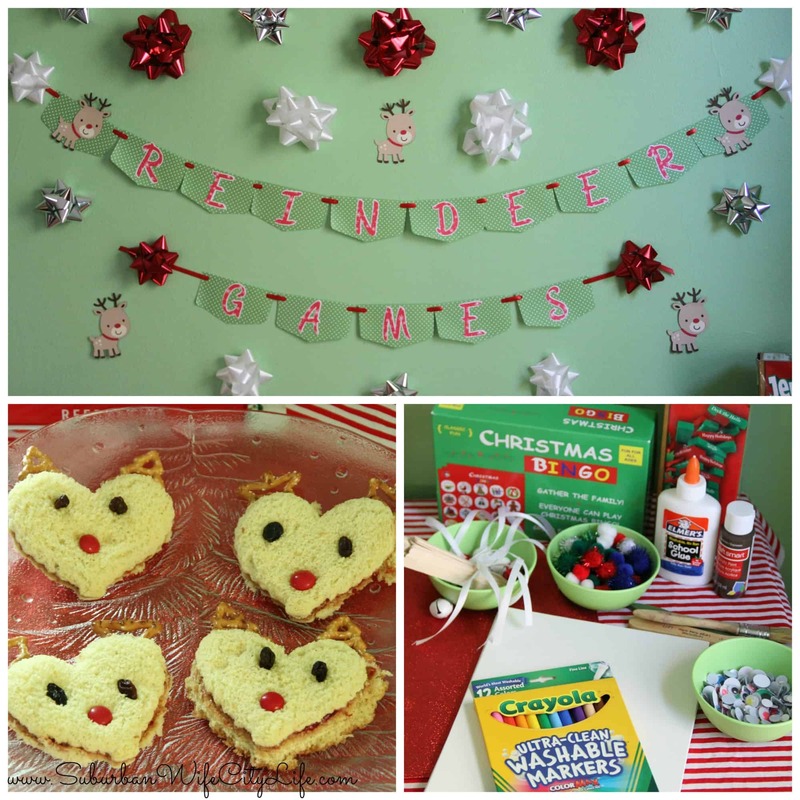 This year I decided to have a Reindeer Games theme and we packed in some great fun and memories. To start this is a play date not a party so I didn’t do a lot of food. Some Rudolf noses (tomatoes) and Snowman noses (carrots) and then peanut butter and jelly sandwiches made to look like reindeer (it’s a heart cookie cutter). Keeping to food simple and ready meant we were good to go for some fun crafts and games. Since the kids ranged in age from 3-6 I needed to keep in mind that I would have a small window of attention. I made everyone head to the table the moment they got their coats off to get started. First craft was making some reindeer hats. Tracing their hands for the antlers and adding some google eyes and noses. They looked adorable. To make things go smooth I cut my kids hands out prior and having my friend Emily around helped a lot. Next we made out reindeer prints. I had the older kids write their families name and 2015 on the back of the canvas, as well as their names and siblings. Then I painted one foot of each child and we made reindeer. Emily was on hand with a wipe to clean the messy foot and we let it dry while we worked on the next craft. 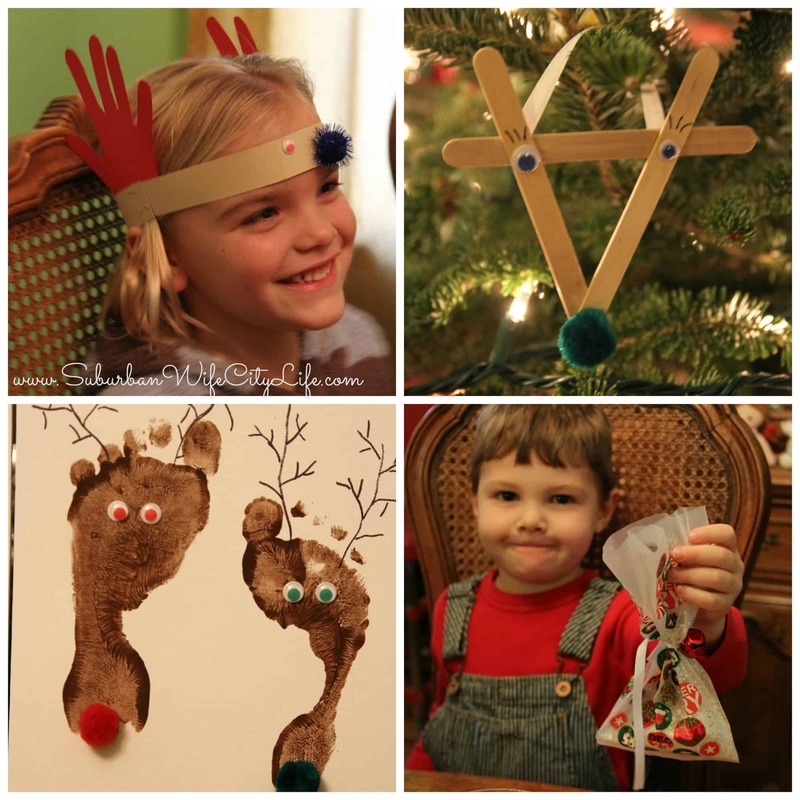 The kids were getting a little crafted out but it was time to make our reindeer ornament. 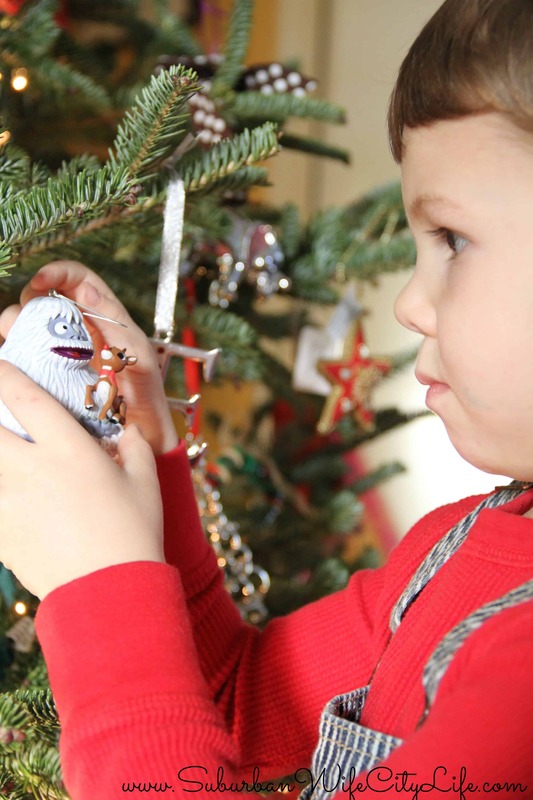 The idea of putting something special on the tree that they made was so exciting. We took 3 popsicle sticks and glued them together in an A shape and then let them dry, make sure you have them write their name and year on the back. Then we added google eyes, a pom pom nose, eyelashes (because reindeer have eyelashes) and ribbon to hang on the tree. While we let the glue dry I told them I made a special reindeer food mix. 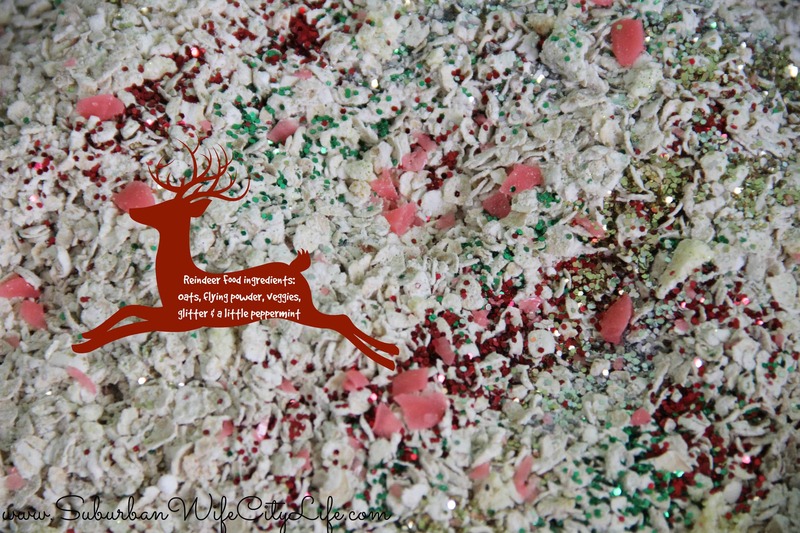 It was a combination of oats, magic flying powder (confections sugar) veggies (crushed up veggie straws) glitter, and some of our peppermint pig. Then each child got to scoop 3 spoonfuls into a bag. We tied the ribbon off with jingle bell and gave each child instructions of what to do. On Christmas Eve go outside and jingle the bell and then sprinkle your mix on the lawn for the reindeer to see. 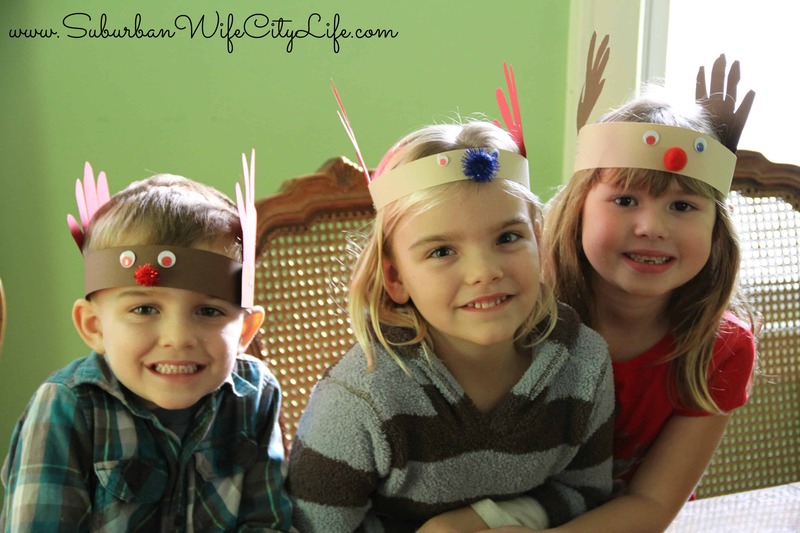 Overall it was a super fun themed play date that got all of us into the holiday season a little more and I love that my kids will have fun memories from the party. I had dreams of getting to play a few board games, but decided to just let the kids play and have fun for the rest of the time. I also received an ornament from Hallmark titled Misfit Friends and I couldn’t have asked for a better one to represent our play date. 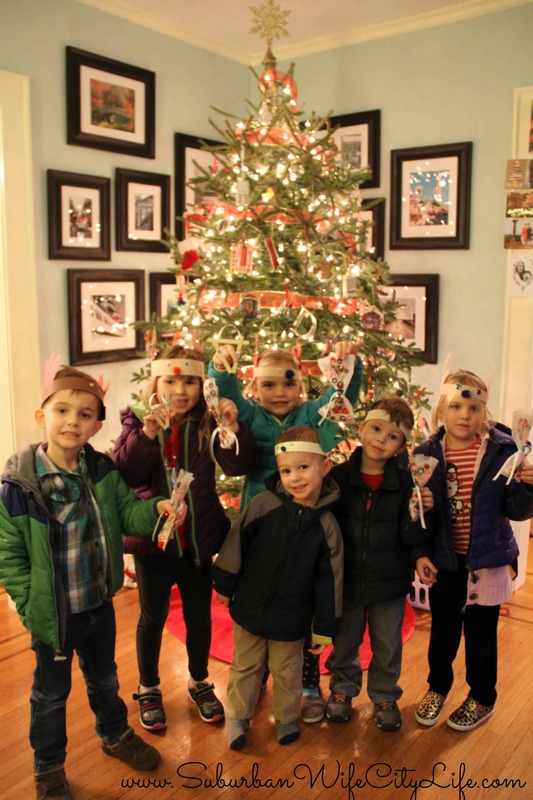 Do you like to host holiday play dates or parties? Love this idea! I enjoy hosting playdates…if only my girls could get out of the runny noses and coughing I would have one! Hope you’re little one’s are feeling better. Thanks it was fun. What a great idea to make the sandwiches for Christmas day. Love it!